In The Savage Sword of Conan Volume 7, Conan faces brigands, magicians, gigantic, mutated creatures, nameless, hideous demons, and a tenacious new foe - the disfigured, metal-clad Captain Sharaq. 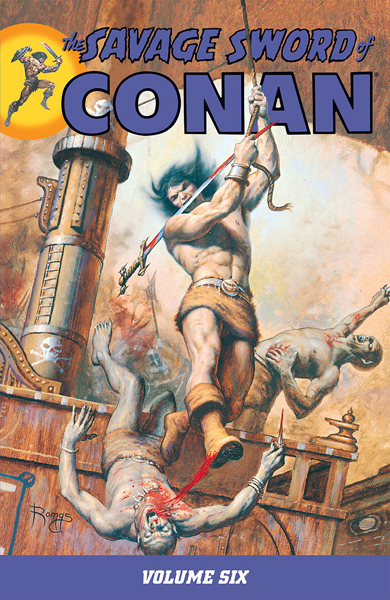 Some of Conan's most unusual and exciting adventures are reprinted here, including "The Colossus of Shem," "Demons of the Firelight - Parts 1 and 2," "The Cave Dwellers," and others. These vicious tales are scripted by Michael Fleisher, Chris Claremont, and Bruce Jones, and drawn by some of Savage Sword's finest artistic contributors, like John Buscema, Ernie Chan, Alfredo Alcala, Val Mayerik, and Joe Chiodo! With writers Roy Thomas, Michael Fleisher, and Bruce Jones contributing to The Savage Sword of Conan in the early 1980s, the action-filled comics magazine continued its long, successful run exploring the lush and dangerous world of Conan's Hyboria. 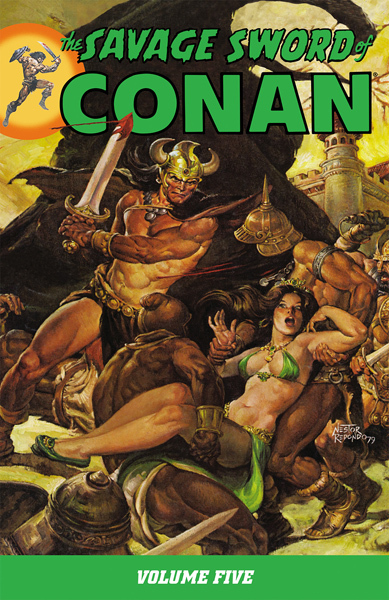 This volume reprints most of the black-and-white Conan tales from 1981, with the artistic talents of John Buscema, Gil Kane, Ernie Chan, Ernie Colon, Alfredo Alcala, and others adding to the uncensored excitement! The Savage Sword creative teams presented in this latest tome deliver timeless adventures featuring Robert E. Howard's beloved barbarian, and such classics as the "Temple of the Tiger," "Dwellers in the Depths," and "Moat of Blood" are reprinted here for the first time ever! Collecting selections from The Savage Sword of Conan the Barbarian issues #61 through #71, this volume also includes the frontispieces and pinups from each issue, drawn by Alex Toth, Joe Chiodo, Ernie Chan, Carl Potts, Tony de Zuniga, and others! This volume contains some of the most ambitious adaptations of Conan material to date, reprinting the epic battle that leads to Conan becoming the king of Aquilonia in "Conan the Liberator," the sword and sorcery classic "Sword of Skelos," and the exhilarating "Conan and the Sorcerer." Collecting selections from The Savage Sword of Conan the Barbarian issues 49 through 60, this volume also includes the frontispieces and pinups from each issue, drawn by such amazing talent as Ernie Chan, Carl Potts, and Neal Adams! As a special bonus, you'll find a companion piece to Savage Sword Volume 1's "A Witch Shall Be Born" story, which hasn't seen print since its original publication in 1980! One lone survivor of Krypton became the greatest hero in the universe - Superman. But before its destruction, the Man of Steel's birthplace was home to legions of heroes and heretics who molded their society into the technological wonderland it would become. 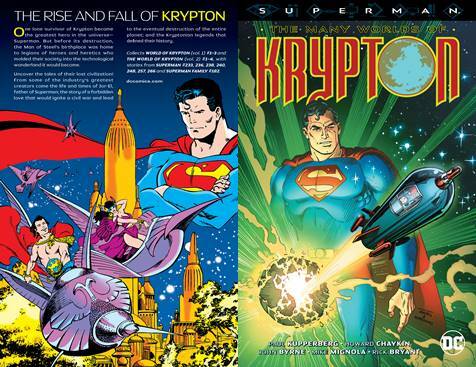 Take a look into the time before there was a Superman and walk with his ancestors to uncover the tales of their lost civilization! From some of the industry's greatest creators come the life and times of Jor-El, father of Superman; the story of a forbidden love that would ignite a civil war and lead to the eventual destruction of the entire planet; and the Kryptonian legends that defined their history. Hang on to your diapies, babies! 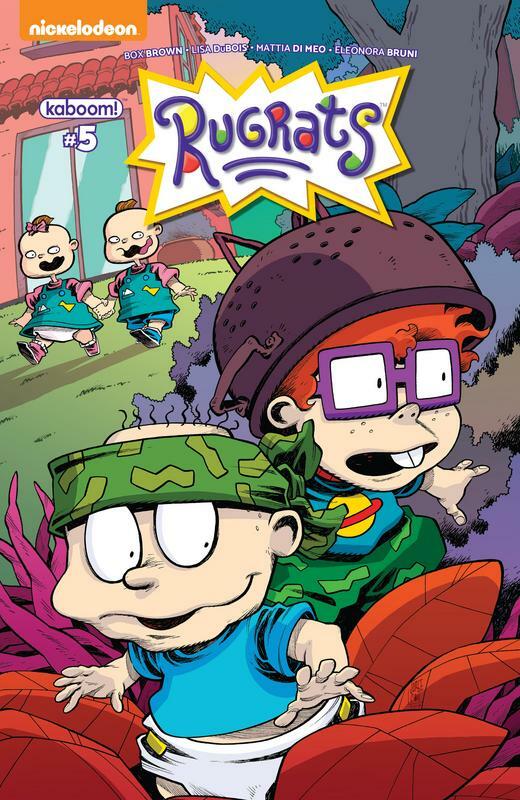 We're teaming up with Nickelodeon for all-new Rugrats adventures featuring the most intrepid toddlers to ever bust out of a playpen! 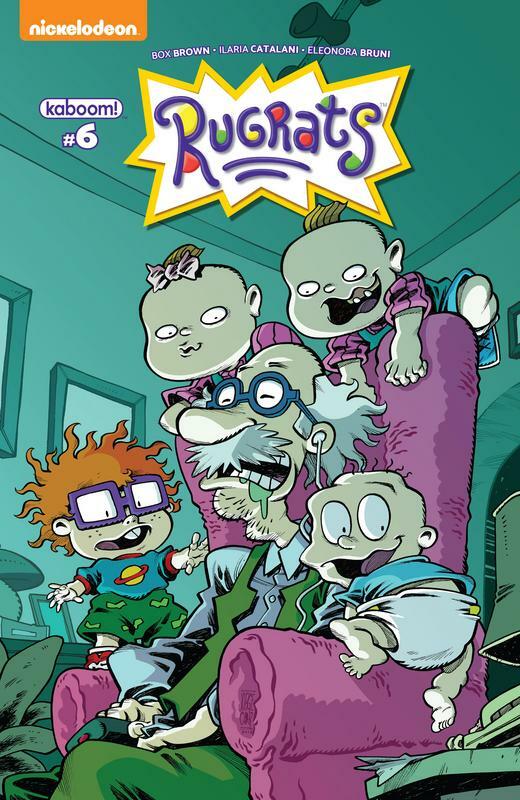 Tommy, Chuckie, Phil, and Lil have noticed something - they are being watched. Somehow their parents can see every little thing they can do. They're going to have to find a way to have fun while avoiding the electronic eyes of the babycam! 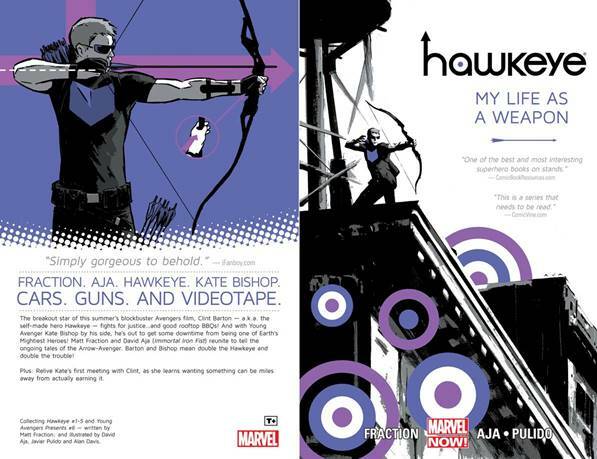 Collects Avengers (2013) #7-11. 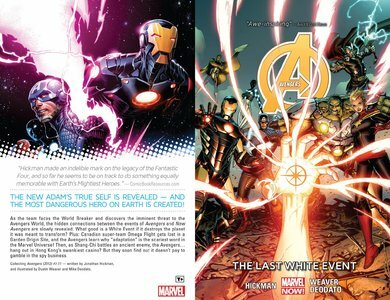 The Avengers must scramble to deal with the threat of another Universal SYSTEM. The New Adam is transformed, and his true self revealed. And the most dangerous hero on Earth is created. The Avengers face off against the World Breaker. 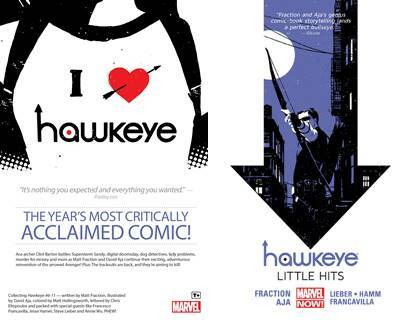 Discover the imminent threat to the Avengers World. Watch as we get our first hints as the hidden connections between the events of Avengers and New Avengers.